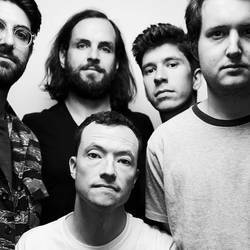 Touché Amoré will release a live album for their show at The Regent Theater in LA which celebrated their 10 year anniversary as well as 1000th show. The appropriately titled 10 Years/1000 Shows: Live at The Regent Theater, will be available November 2nd via Epitaph. You can check out a video for "Flowers and You" and get a taste of the audio from the show after the jump.